The capability to simplify and speed up lengthy banking processes makes Bitcoin an ideal iGaming payment method. It literally transforms conventional payments in online gaming to quick, safe transactions never seen before in this sector. Instant withdrawals and fast deposits make Bitcoin the true winner in this department, and it further promotes the digital currency to be more applicable for the constantly growing market of online casinos, sportsbooks, and other gambling websites. Like players, operators are also among the primary beneficiaries of this technology. Bitcoin payments significantly improve the businesses as they can now reach the global audience and yield larger margins and higher savings. With the reported estimate of 40 percent of today’s global Bitcoin volume dedicated to online gaming, it becomes clear that Bitcoin is a key component in the iGaming revolution. Speeding up this much-needed innovation is Cubits, whose services make Bitcoin payments much easier and more straightforward than they already are. Bitcoin payment services provider Cubits immediately became a popular name in the industry through the variety of services offered. 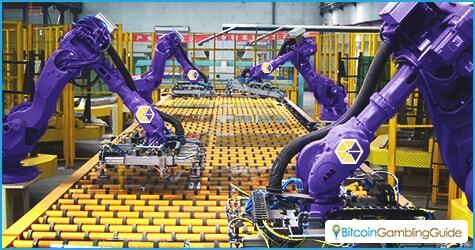 Bitcoin users can buy and sell bitcoins or even securely store them in the Cubits wallet. Several conventional payment methods are supported when buying Bitcoin, including Sofort, OKPay, Skrill, and credit cards. This feature enables users to easily convert their fiat money to Bitcoin in a matter of minutes. Business clients, on the other hand, can process Bitcoin and pay out in the same form through Cubits’ secure software infrastructure. With the technology at hand, the payment processor entered the iGaming industry with an aim to improve the Bitcoin gambling landscape by delivering solutions for hybrid platforms. Hence, the partnership Cubits formed with SoftSwiss. 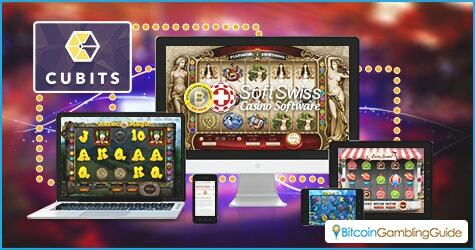 SoftSwiss, a top online casino software and game content provider in the Bitcoin gaming scene, is the primary industry client using Cubits. Tim Redher, CEO at Cubits, admitted that developing more applications on the blockchain is most possible in the iGaming industry. In fact, they have already developed several groundbreaking API features that promote real-time tracking and instant acceptance of Bitcoin deposits. Other popular names in the industry like Betconstruct, Betsat, Löwenplay, and Gametwist are some of the clients that benefit from the efficient transaction processes brought about by the fast and secure Bitcoin payments through Cubits. In addition, more than 150 iGaming clients already have Cubits as their Bitcoin payment processor, and the European-based company believes its automated Bitcoin cashouts, instant conversion to 17 fiat currencies, seamless funding processes, and other Cubits features played important roles in earning the trust of their clients and the iGaming community.